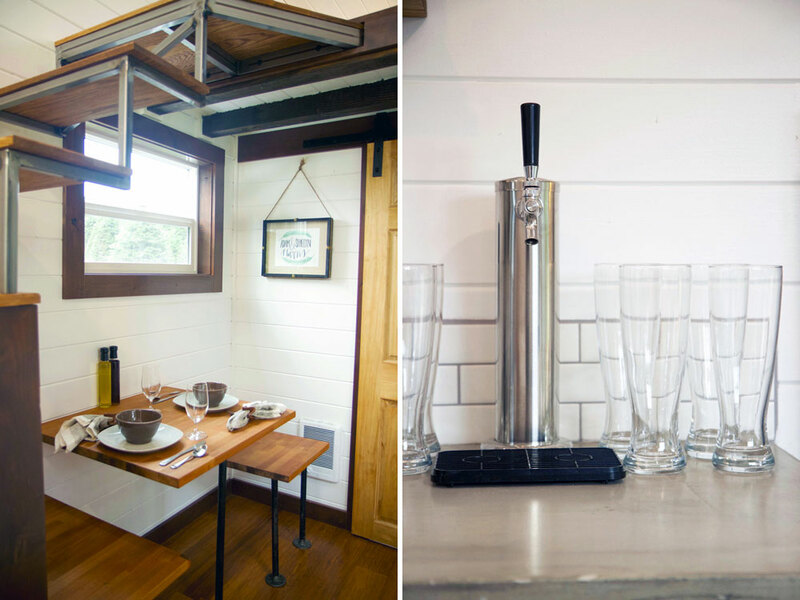 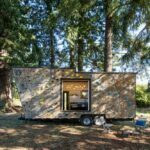 The Northwest Haven is a luxurious tiny house created by Portland-based Tiny Heirloom. 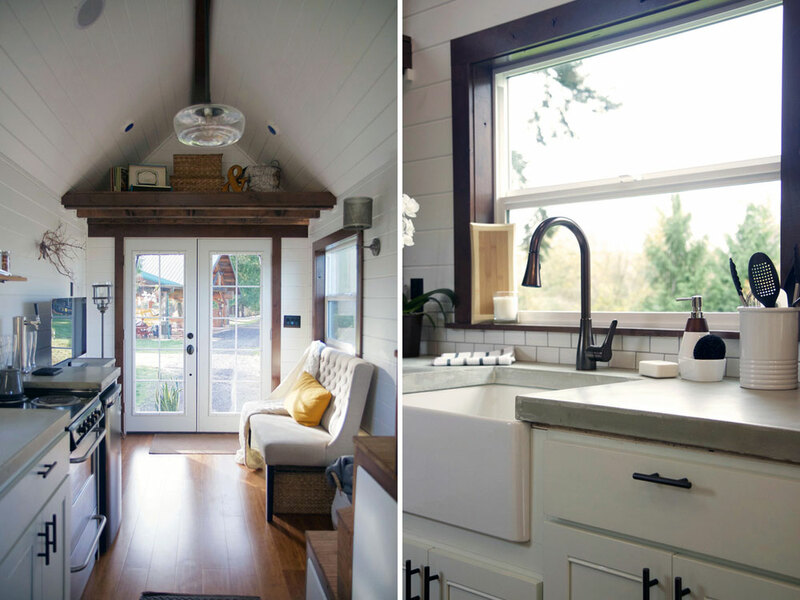 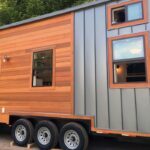 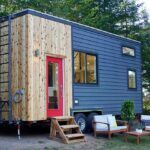 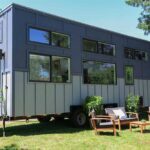 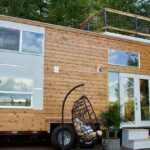 The 24′ tiny house has an open floor plan with high end finishes throughout. 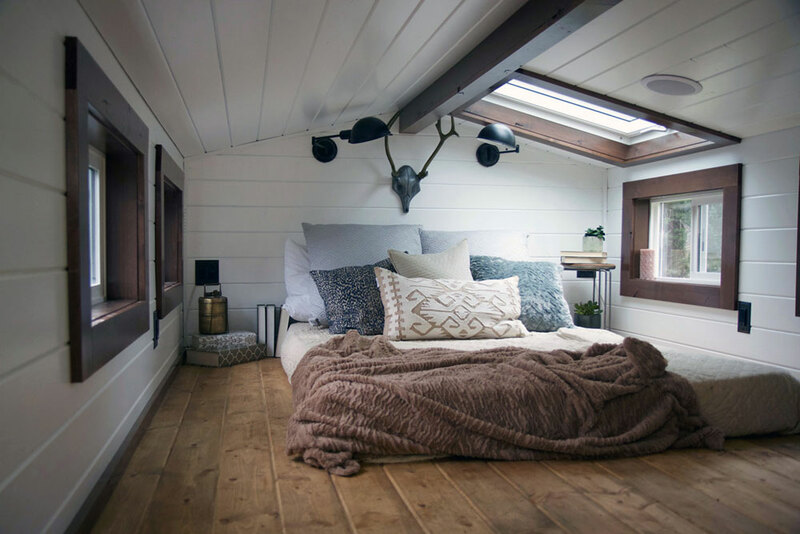 French doors lead into the house from the fold up cedar deck and awning. 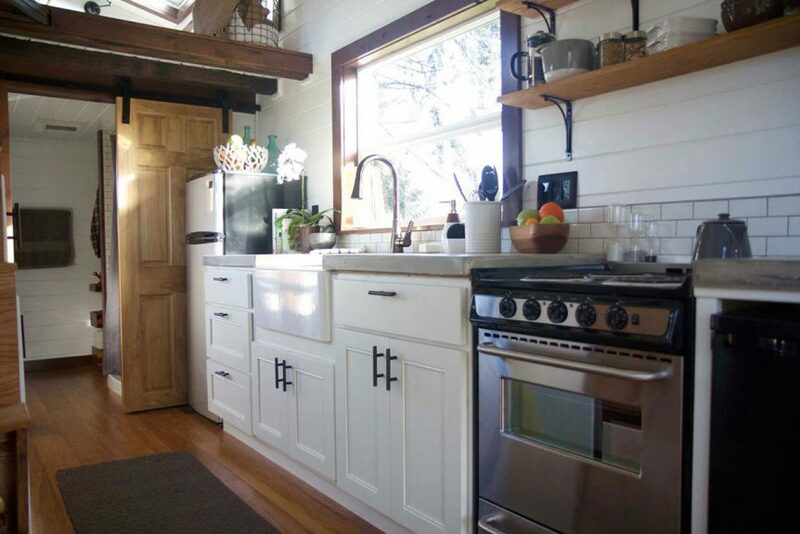 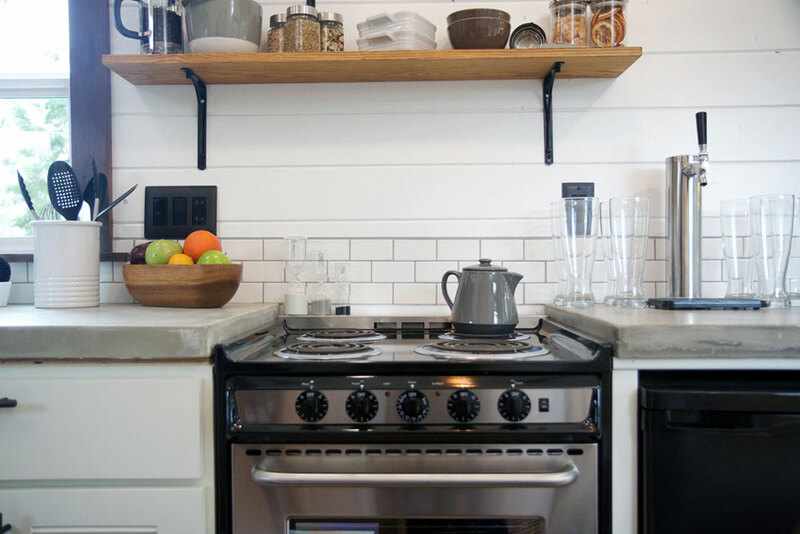 The kitchen features a large farm sink, concrete countertops, an apartment size refrigerator, and a 24″ four-burner electric range. 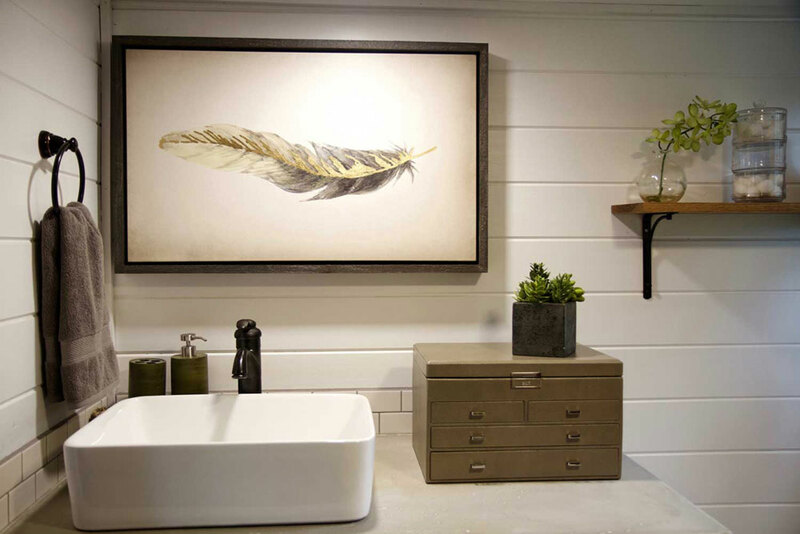 The bathroom includes an RV flushing toilet, full tile shower, and a large vanity sink with concrete countertops. 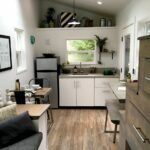 The tiny house also includes solid bamboo floors, a custom built dining table, a propane space heater, and a secondary sleeping/storage loft. 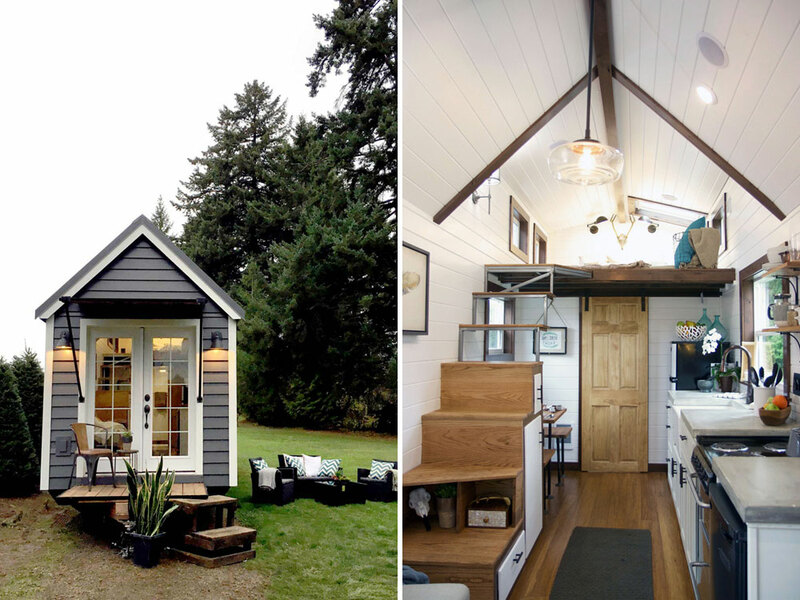 This tiny house was listed at $97,000.